MON (Manon) – TI (Justine) – RIUS (Marius). It’s a family domain from the Saurel side of the family. 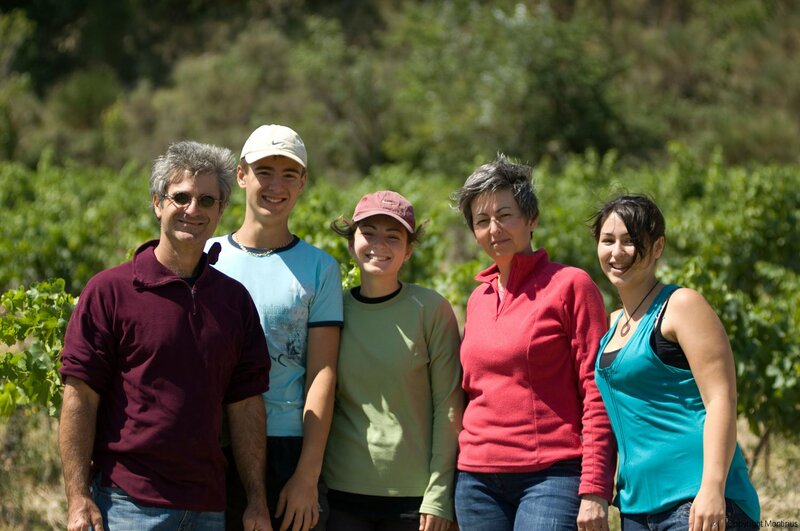 They have been wine growers for 5 generations. In 1980, Max Saurel, Eric’s father, stopped using chemical fertilizer, sensing their negative effects on the soil. In 1986, after a BTS ‘Viti-oneo’ done in Bordeaux, Eric moved into the family concern with his wife Christine. 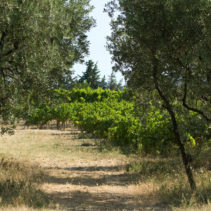 In 1987 the couple definitively abandoned the chemical weeding between the vines, replaced by working the soil. In 1989, following health problems with the newly born first child, Justine, Eric and Christine discovered homeopathy with success. This discovery lead to great changes in their private lives, in their way of healing themselves, of feeding themselves and in their thinking. This personal questioning brought them to look differently at their work in the vineyard, and to modify their approach to their profession. In 1990, they totally eliminated chemical pesticides, to use only the ‘Bacillus Thuringiensis’ which respects the flora, fauna and mankind. 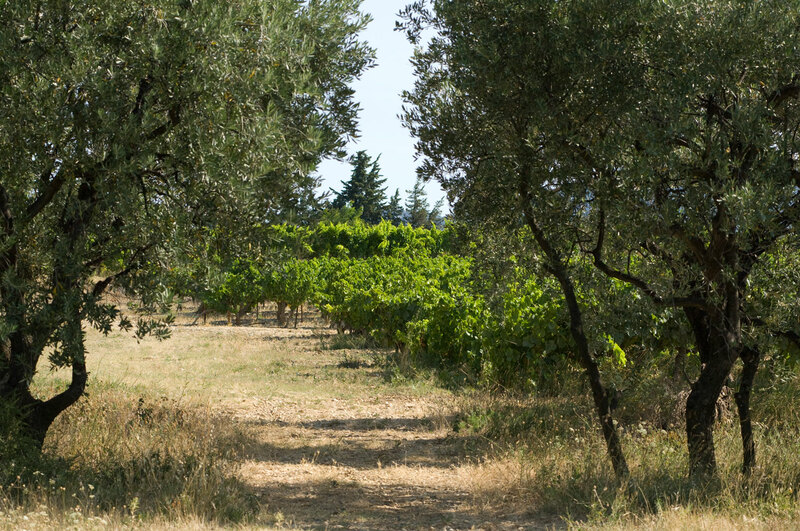 In 1996, with the meeting of Francois Bouchet (a Bio-Dynamic wine grower for 50 years), they converted the entire vineyard to Bio-Dynamic methods, certified by Ecocert SAS and Biodyvin. In 1999, their wines are made from Bio-Dynamicaly cultured grapes. The domain is certified Biological by ‘Ecocert’ and Bio-Dynamic by ‘Biodyvin’. In 2012 Ecocert certified that our 2006,2007,2008,2009,2010,2011 vintages correspond totally to the criteria of new European wine making specifications to obtain ‘biological wine’ instead of ‘wine made from biological grapes’. 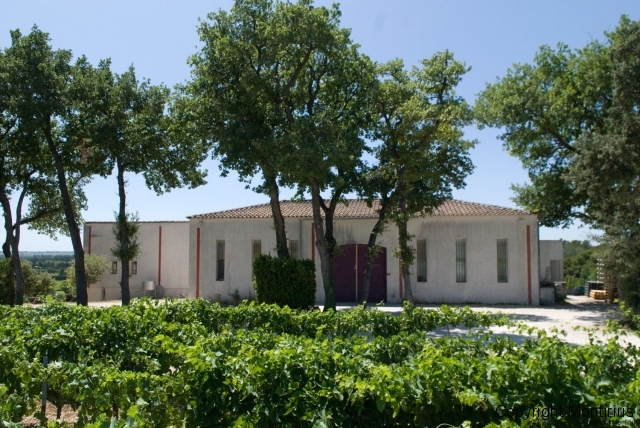 In 1947, Eric’s maternal grandfather, Paul SEIGNOUR, joins up his domain with the co-operative in Vacqueyras, of which he was a founder member. In 1947, Eric’s paternal grandfather, Gaston SAUREL, vinified his wines in his own private cellar. In 1980, Max SAUREL, joined his wife’s domain, with his father in law, and left the private family cellar. In 2001, Christine and Eric SAUREL constructed their own private cellar. In 2002, the couple’s first vintage saw the light of day. In 2011, Justine SAUREL started working at the domain with her parents after doing a Diploma in ‘Viticulture,Oenologie’, which she got in 2009. She did a certificate in wine marketing in ‘Suze la Rousse’ in 2010, a commercial training course in Montreal for 3 months and 6 months training in winemaking in New Zealand. In 2012, Manon SAUREL, started a Diploma in International commerce. The practical aspect of the course is being done at the domain.